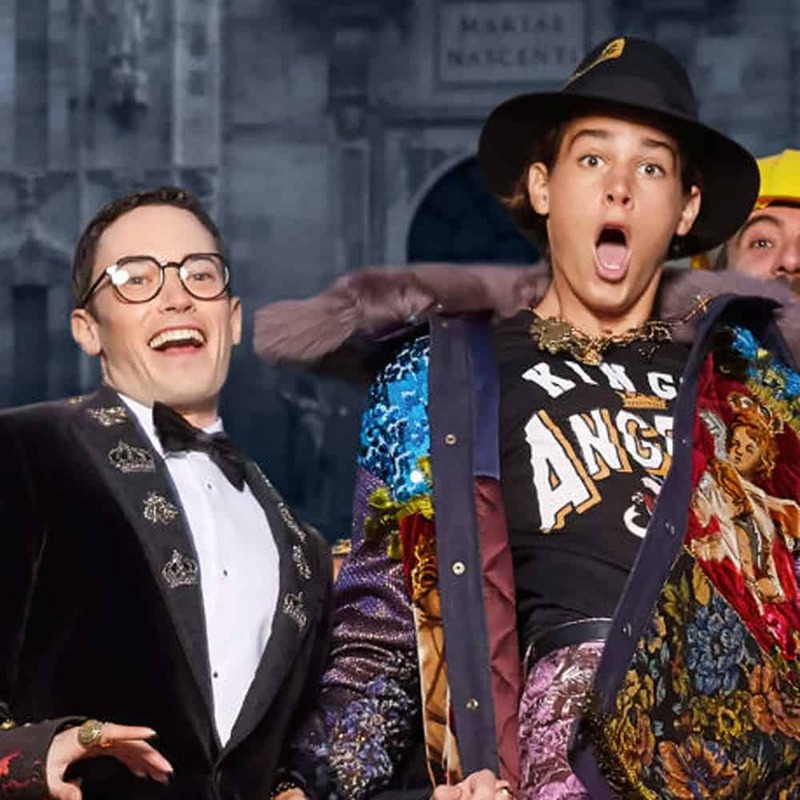 One thing we’ve come to expect from Dolce & Gabbana as of late is their penchant for casting the sons and daughters of the world’s rich and powerful people. Their casting strategy is a one-two punch that both represents their current clientele, and connects the storied Italian house with a younger audience. 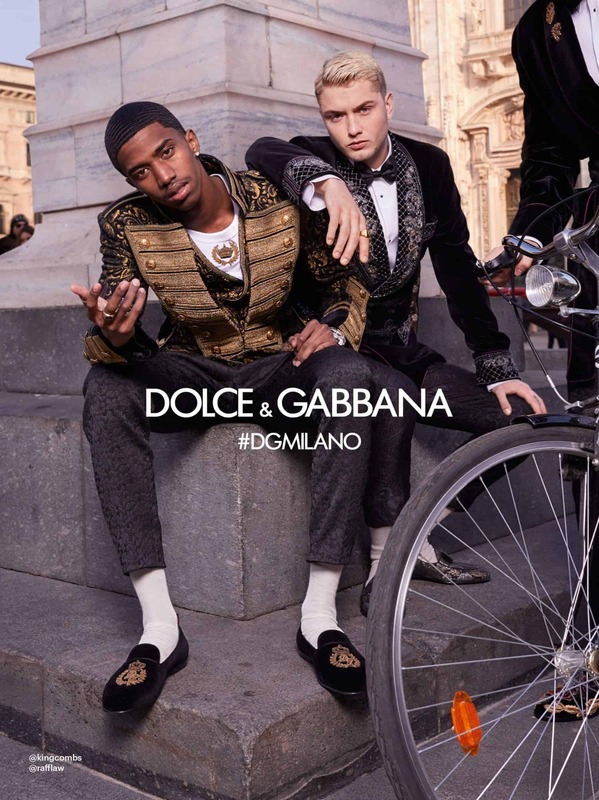 But for their Fall 2018 campaign Domenico Dolce and Stefano Gabbana have really outdone themselves, tapping just about every noteworthy scion with model-like features for their menswear campaign. Below are some names you might recognize (along with the names of their famous progenitors, in case you don’t). Christian Combs, son of P. Diddy, in a gold brocade jacket on the left, with Rafferty Law, son of Jude Law, in black velvet on the right. 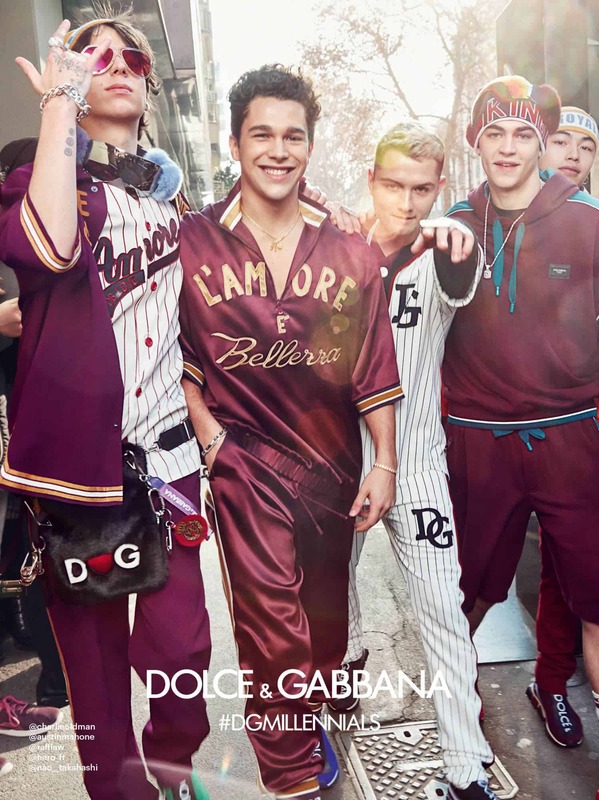 From the left, Charlie Oldman (son of Gary Oldman), social media star Austin Mahone, Rafferty Law, and Hero Fiennes-Tiffin (nephew of Ralph and Joseph Fiennes). And just because they are sort of difficult to pick out, here are closeups of Kevin Chaplin and Paris Brosnan. Also part of the squad were the sons of non-celebrity men — Cameron Dallas, Austin Mahone, and Juan Pablo Zurita (all of whom became famous on social media) — as well as artist Shimizu Mash, and model Nao Takahashi, among others. 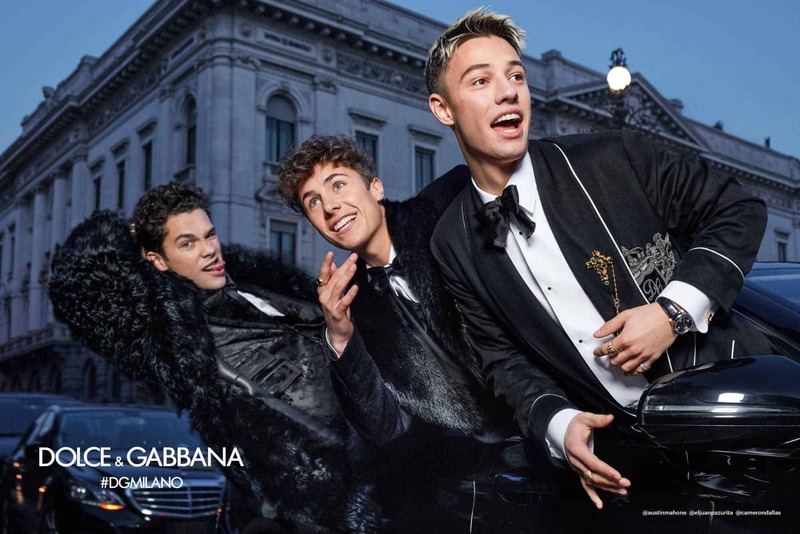 Nearly all of the boys in the ads have been cast by Dolce in ads before, or walked the Fall 2018 menswear show dubbed “King’s Angels.” Who knows, with a few more high-fashion campaigns under their belts, some of these celebrity sons might soon have some name-recognition of their own.